I know some of you are probably scratching your head wondering why you would want to know what the common cold or any other virus for that matter looked like if it was blown up. For any of you wondering whats up, let me just remind you of the power of our words. Proverbs 18:21- Death and life are in the power of the tongue, And those who love it will eat its fruit. I firmly believe that as truth! So with knowing that truth I also think taking it a step further and punching the "common cold" might be therapeutic when your nose is stuffed, throat scratchy, cough barky, and just can't get the rest you need. How nice would it be to look at your giant microbe and stomp on it and tell it to go away?? 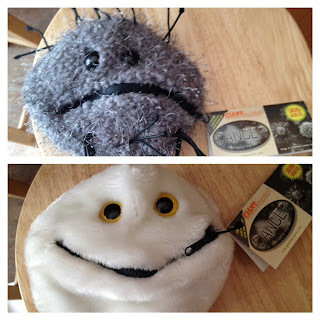 Giant Microbes has every imaginable disease out there! I was sent the common cold and cancer. I truly think the cancer one would be a great gift for anyone battling the disease. They can turn the icky cancer back into a healthy white blood cell. It would be such a neat tool to bring along to any chemo appointment. These plush microbes would be great for any science or biology teacher. It would also be great for hospitals to start to carry these Giant Microbes for patients, to see. The icky and scary looking cancer virus has a neat zipper mouth so you can turn the cancer cell back into the healthy white blood cell. So do you know someone battling a disease? Pick them up a Giant Microbe and get them back on track to feeling good. 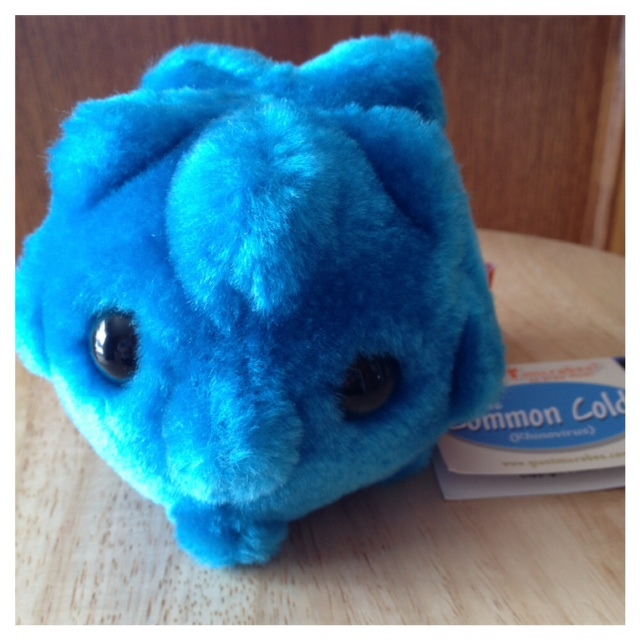 Enter the giveaway to win your choice of your favorite original size microbe valued at $9.95 or less. Enter using the easy rafflecopter form below. I like the common cold. We have several of these like pimple and white blood cell as teaching tools. I received the sperm and egg at my baby shower and we have pictures of my children as infants holding these but they have since been put away since I am fine with explaining what a red blood cell is but I was going to wait a while before explaining those. Oh Emi, you made me LOL! TOO FUNNY! I might pick the martian life because the kids love space! I would choose the RED ANT because we have them all over and it might be a good way to teach them to avoid fire ants!